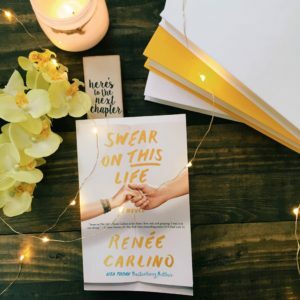 I’ve been on a huge contemporary romance binge-reading extravaganza of late, which is why I recently read Swear on This Life – a book so good I found it hard to set aside even for a moment. There were a lot of tears shed over Swear on This Life, both of sadness and joy, but even through tear-clouded eyes I couldn’t put it down! Any book that can make me cry, though, is an instant five star review from me. I enjoyed the concept of the book. Emiline is given a bestseller to read and realizes after the very first page that it was modeled after her childhood; and there was only one person who could have written it. It was intriguing to read about Emiline’s childhood through the eyes of the author J. Colby. 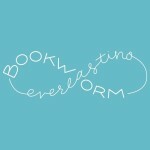 Every time Emiline put the book down I couldn’t wait for her to start again. I wanted to know more about Emiline and how she ended up falling in love with Jase. Reading about Emiline’s childhood was soul crushing. I soon realized Emiline only had Jase to help shoulder the tragedy that was her childhood. They both had such sad and horrible childhoods that I ended up crying rivers. I was grateful they had each other because I can’t imagine going through what they did and having no one. They experienced far too much heartache at a young age. There was one violent scene that had me sick to my stomach and crying not just rivers, but lakes. I’m not sure why I’m such a glutton for that kind of emotional punishment, but I kept reading because the book kept getting better and better. The relationship Emiline and Jase formed was one of the most riveting and complex relationships I’ve read in awhile. Since they were children they loved each other in a way only two people who experienced their tragedies could love. It was a love that followed them into their adulthood; a love that shaped the relationships they had as adults; a love they were never able to let go of. Every now and then I had to set the book down, just for a moment, to recuperate from all the emotions. It was a constant series of hits to the heart. Swear on This Life wasn’t a gushy, lovey dovey, romance. There was a lot of ugly surrounding Emiline and Jase’s life, but with them together they were able to find something beautiful. This was my first Renee Carlino book, but it certainly won’t be my last. Yes! It was so amazingly good. I can’t express that enough. I hope you enjoy it too.